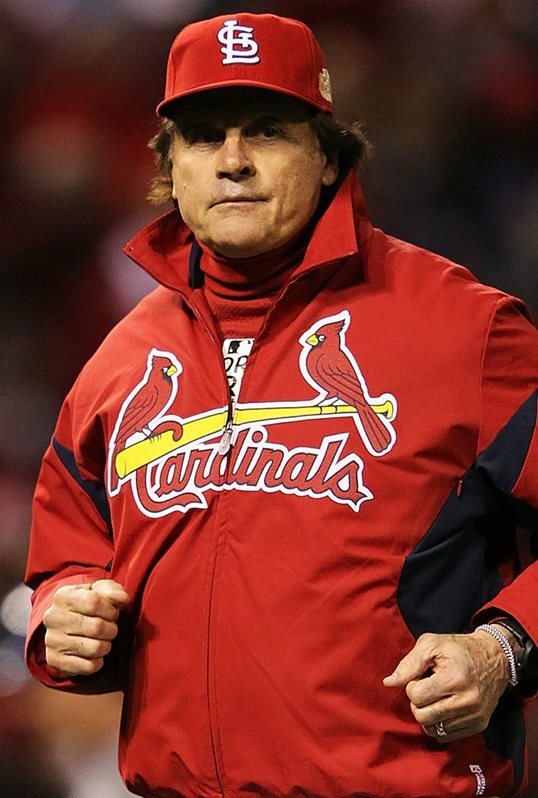 Tony La Russa liked playing the long game. I have Patricia Highsmith and Jean-Patrick Manchette on tap, but today's post is devoted to the man who may have done more than anyone else to make major league baseball almost as long and delay-ridden as an NFL game (though not quite as interminably drawn out as the last two minutes of a close NBA game, as a commenter rightly points out). I had moaned earlier about the constant interruptions in NFL games when I realized that major league baseball has been becoming more like the NFL in recent years and decades: Tinkering with the rules to boost offense (the DH), increased specialization on the field (the DH), endless games, and so on, and I realized that baseball missed a chance to honor a man whose success did much to foster these trends. Wouldn't it have been great if Tony La Russa had spoken for eight or ten minutes at his Hall of Fame induction in 2014, then brought someone in to speak for one minute, followed by a conference with the Hall of Fame board chairman? La Russa would then bring in a third speaker to offer a funny line because that's what that speaker is good at, followed by a specialist in touching heartfelt remarks for forty seconds, then another conference with the board chairman. A fifth speaker, all around good at everything, would then come on, followed by another conference and, depending on how the audience seemed to be reacting, another speaker. La Russa would then bring on the final speaker, who can't talk for more than a minute but who is an absolute master at summing everything up with a memorable exit line. 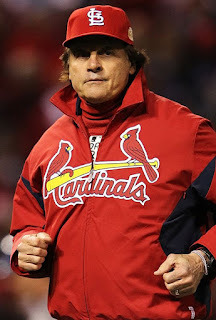 La Russa's short speech would by then have swollen to forty-five minutes, and half his audience would have been asleep, but those who remained awake would have acclaimed it as one of the best speeches ever. * Box scores for major league baseball games list the amount of time the game took at the bottom in hours and minutes: 2:16, 2:44, or, more frequently since Tony La Russa had such success with hyper-specialization and frequent pitching changes, longer than three hours. La Russa runs the Arizona Diamondbacks now, so I think Tony "3:10 to Yuma" La Russa is a hell of a thing to call him. Share if you agree. Agreed that baseball is glacial, but is anything longer than the last two minutes of a close NBA game? It's like they purposely want to kill excitement. And that's reason number 36 I'm not a basketball fan. You're right. 12.8 second. Foul. Commercial. 12.1 seconds. Four. Commercial. Commercial. By the way, I have finally figured out the NBA rule on traveling: A player shall be permitted a number of steps while holding the ball equal to his annual salary on dollars divided by four million.